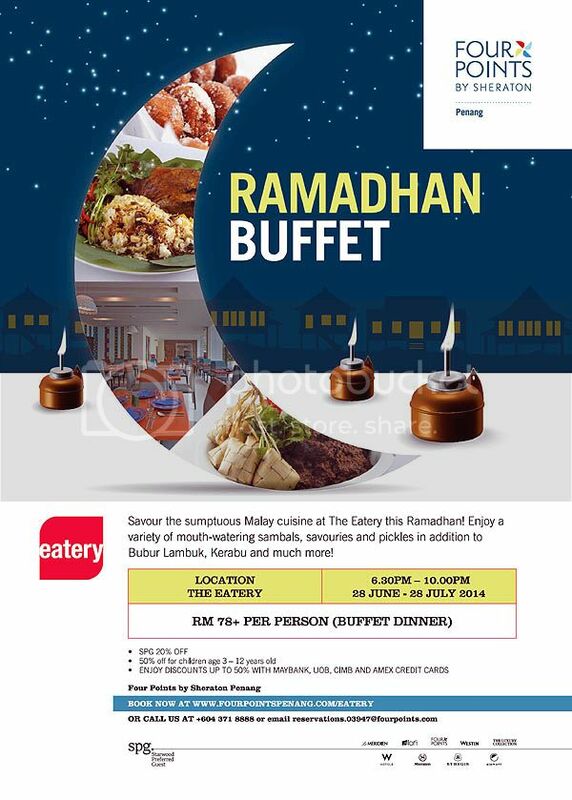 In the holy month of Ramadhan, The Eatery @ Four Points by Sheraton Penang would be holding its Ramadhan Buffet Dinner (28 June 2014 – 27 July 2014) from 6.30pm until 10.00pm daily. 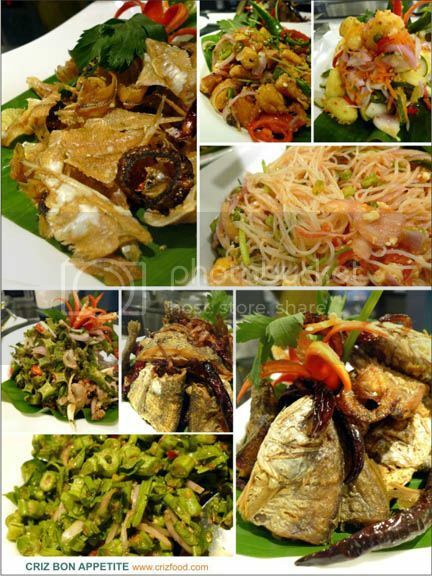 Diners would get to enjoy their enticing buffet spreads which would consist of a mix and match of tantalizing flavors from the locals and international cuisine scenes. You can enjoy your meal over the breathtaking sunset scenery along the horizon of the Andaman Sea, either indoor or at the al fresco area. 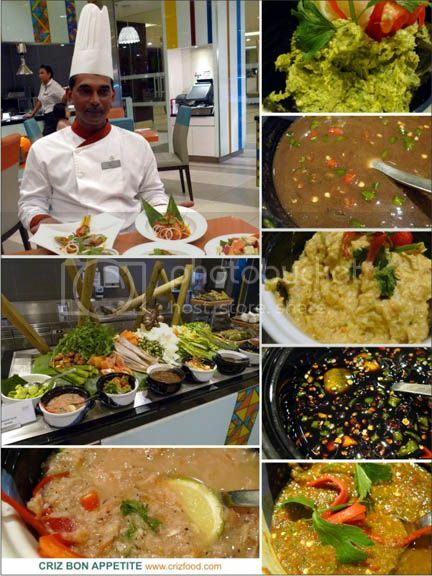 Dining at The Eatery is all about having your deserved relaxation and dining time after a day’s of hectic work. Priced at RM78+ per person or 50% off for children age 3 years to 12 years old, there are many more discounts in store such as 20% off for Starwood Preferred Guests (SPG) members and discounts for selected credit card holders (UOB, Maybank & CIMB) can enjoy up to 50% off. 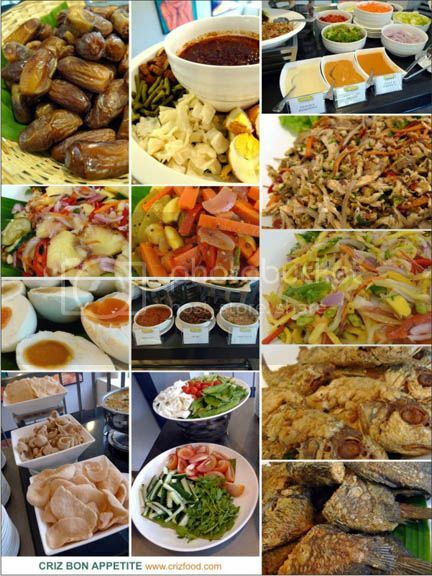 You can check out the dining offers at the hotel’s website. Terms and conditions apply. Children below 3 years old get to eat for free. 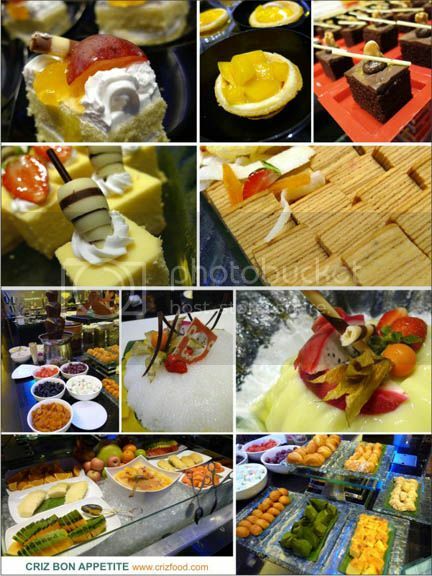 You may be in for a surprise to find whole fruits or fresh fruit cuts being served first at the main buffet line. Well, they are right in the major rule of consuming fruits first, meals later. Haha~ Ideally, fruits should be consumed at least an hour before meal or two hours after meal but most Asians don’t follow the golden rule, do they? LOL~ The main reason behind this method of dining, is that your digestive process would work quicker by empowering different enzymes to break the fruits into nutrients, fiber and fructose for easier absorption into your body, thus gaining the maximum benefits from the process. 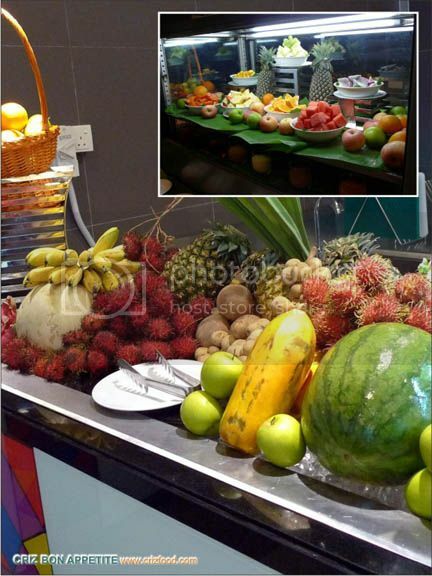 So, remember to eat your fruits first before any meal~ 🙂 The Eatery would serve a variety of local tropical and imported fruits such as red dragon fruits, white dragon fruits, duku langsat, rambutans, papayas, ciku, pineapples, jackfruits, watermelons, grapes, apples, oranges, honeydews and more. Do check out the little compartment below the chiller as there would be different condiments for your fruits such as strawberry sauce, orange sauce, sour plum powder and rojak sauce, pounded peanuts, maple syrup and more. That’s what I call a healthy meal before a hearty meal~ Love it! 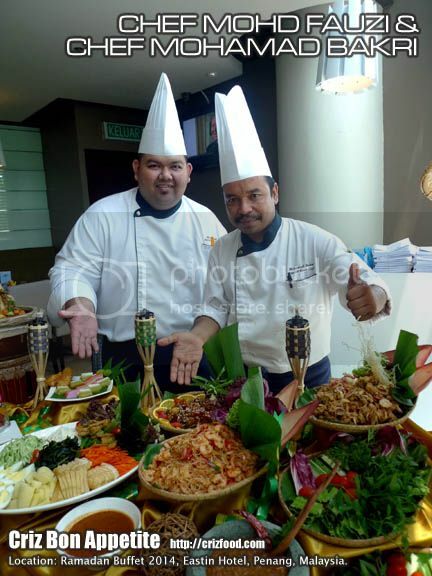 The special spreads for the evening was prepared by the skillful Chef Shafiq. 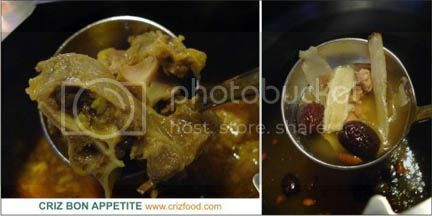 Dishes would differ from week to week on a rotation basis. 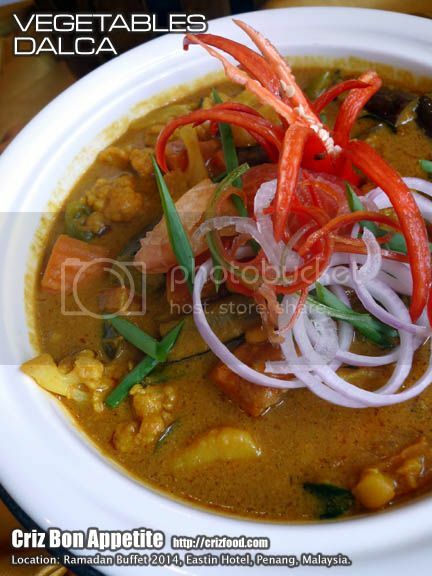 Firstly, let’s start with some assorted crackers followed by some ulam-ulaman (fresh garden vegetables and herbs) with unique condiments such as the sambal cincalok (Fermeneted Krill – Melaka), sambal hijau (Green Chilies & Anchovies – Johor), sambal budu (Fermeneted Seafood – Kelantan & Terengganu), sambal tempoyak (Durian Sambal – Perak), sambal kicap pedas and sambal belacan. 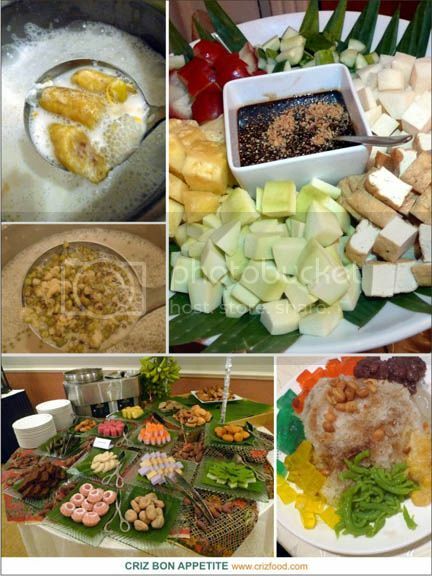 You would also get Nasi Himpit/Ketupat Raya (Rice), Ketupat Daun Palas (Glutinous Rice) and Lemang (Glutinous Rice) together with Serunding Daging and Serunding Ayam. 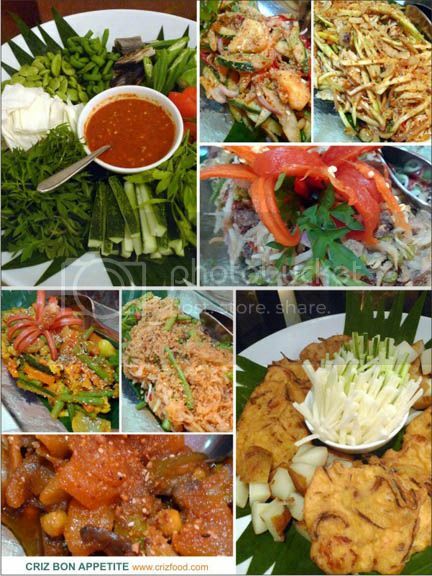 For pickle lovers, there would be the assorted fruit pickles, some savories items, kerabu and acar such as Kerabu Udang dengan So Hoon (Glass Noodles Spicy Salad), Kerabu Kacang Botol, Kerabu Telur Permata Hati, Jelatah, Acar Buah-buahan and more. 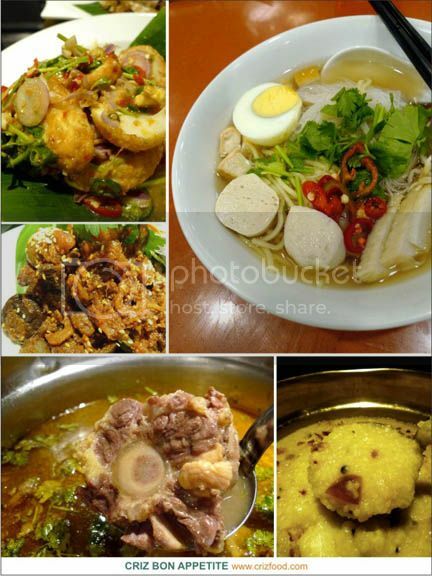 There would also be some soup based dishes such as Noodle Soup, Bubur Lambuk and Sup Ekor. 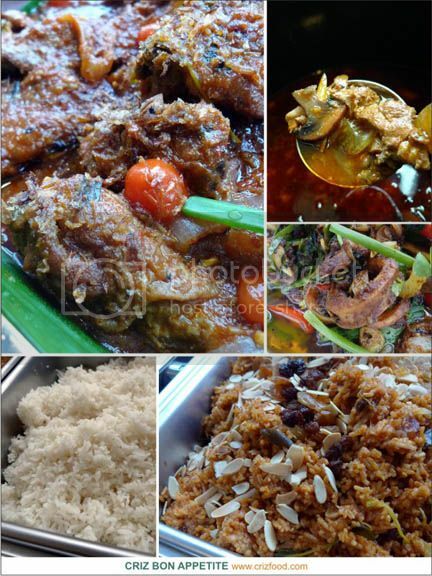 As for the main dishes, you would expect to get dishes such as Steamed White Rice, Kari Ikan, Ayam Rendang, Ikan Masak Kicap, Daging Masak Kurma, Kailan Ikan Masin, Sayur Campuran, Kepah Masak Kunyit, Ayam Masak Gulai, Udang Masak, Daging Opor Pahang, Terung Belacan, Prawn Fritters, Deep Fried Calamari Rings and more. 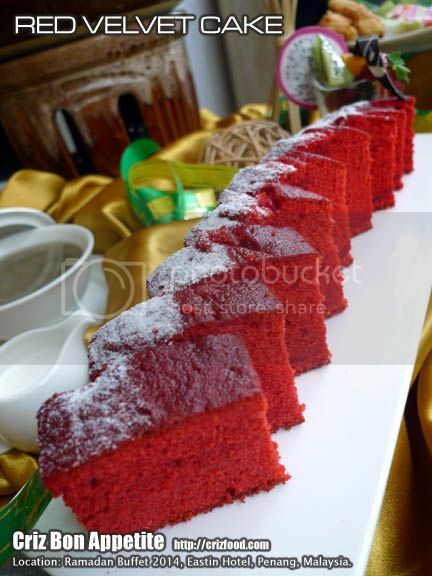 For desserts, Last but not least, dessert lovers would love their Chef Eddie’s Dessert Collections where you would find items such as Kurma, Kuih Balu, Kuih Bijian, Kuih Kapit, Assorted Malay Kuih, Jelly & Pudding, Assorted Cakes, Bubur Cha Cha, Teh Tarik, Air Soya, Air Bandung, Air Sirap Limau, Fruit Cocktail, Ice Cream & Ais Kacang with Condiments and so on. 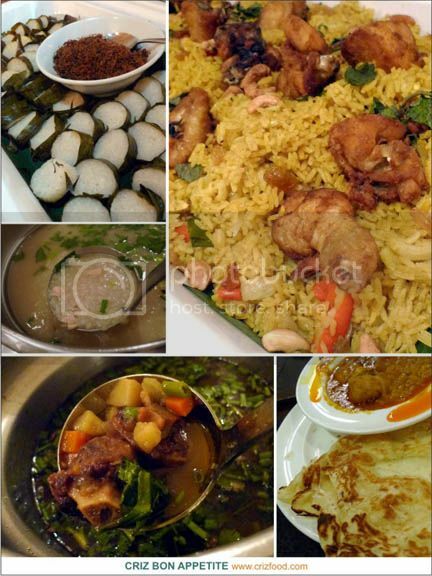 Overall, the dishes served here during the holy month had more touches of Malay cuisine compared to their normal daily spread throughout the year. 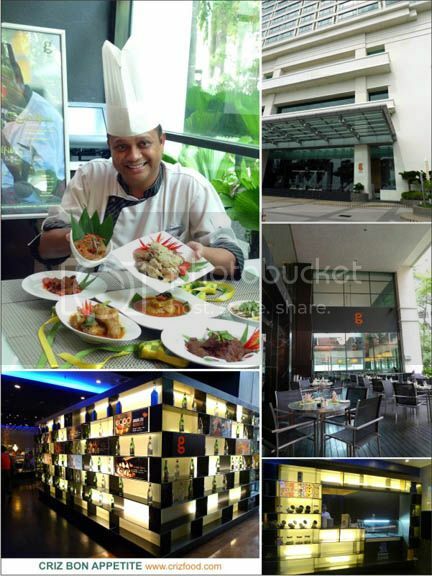 The Eatery @ Four Points By Sheraton is located along the main road of Jalan Tanjung Bunga. 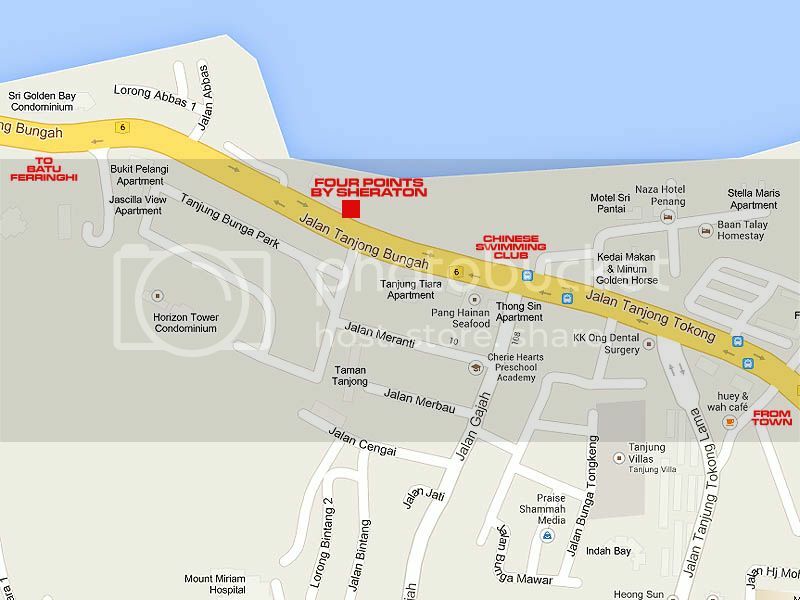 To get there, just use the road going towards the beaches of Batu Ferringhi. As you reach a curving part of the road, keep to your right after the first traffic lights (Chinese Swimming Club on your right). At the second traffic lights, turn right into the hotel’s premises to find a car park. 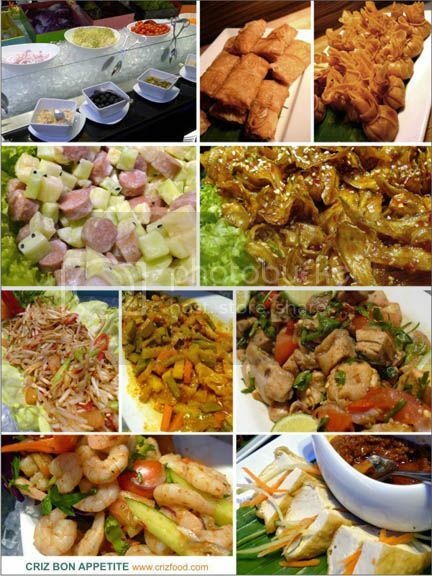 Walk straight into the lobby and you can find The Eatery located at the ring wing of the hotel. 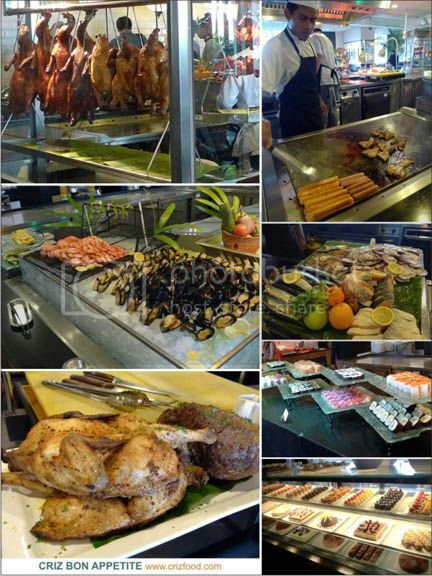 NOTE: The July Buffet Promotion has been cancelled until further notice. The management is sorry for any inconveniences. 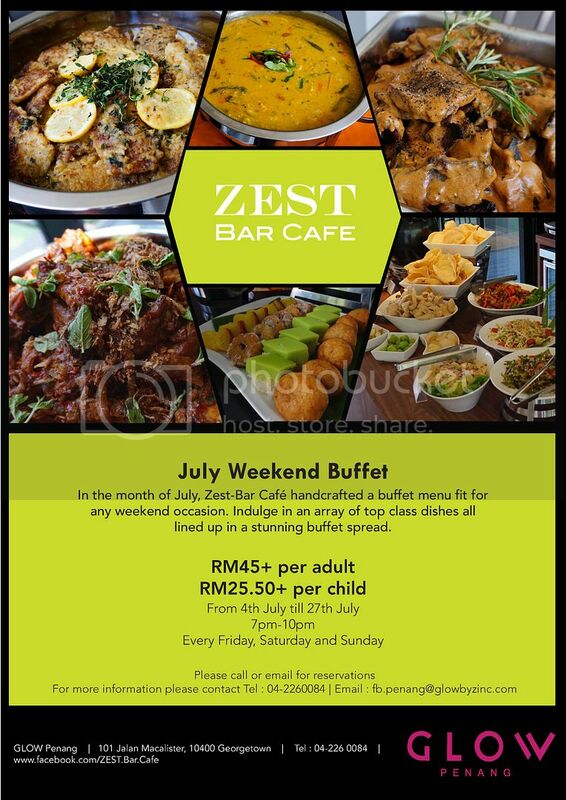 For the month of July 2014, ZEST Bar Café @ GLOW by Zinc, would be having its July Weekend Buffet Dinner (4-27 July 2014), within its modern and chic hotel, located right in the heart of George Town. 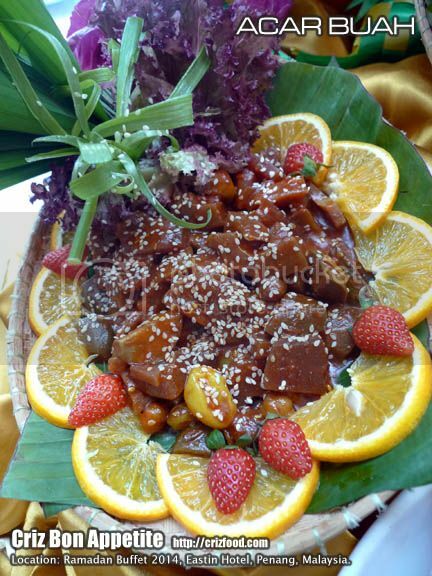 The timely arranged buffet dinner would also be in line with the holy month of Ramadhan where diners would get to savor their specially handcrafted Malay cuisine in the confort of the café. The promotion would be priced at RM45+ (adults)/RM25.50+ (children) from 7.00pm until 10.00pm, only of Fridays, Saturdays and Sundays. 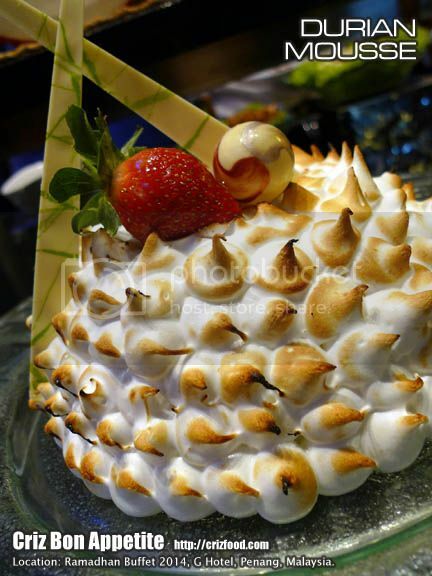 Special arrangements can be made for groups of 30 pax and above. 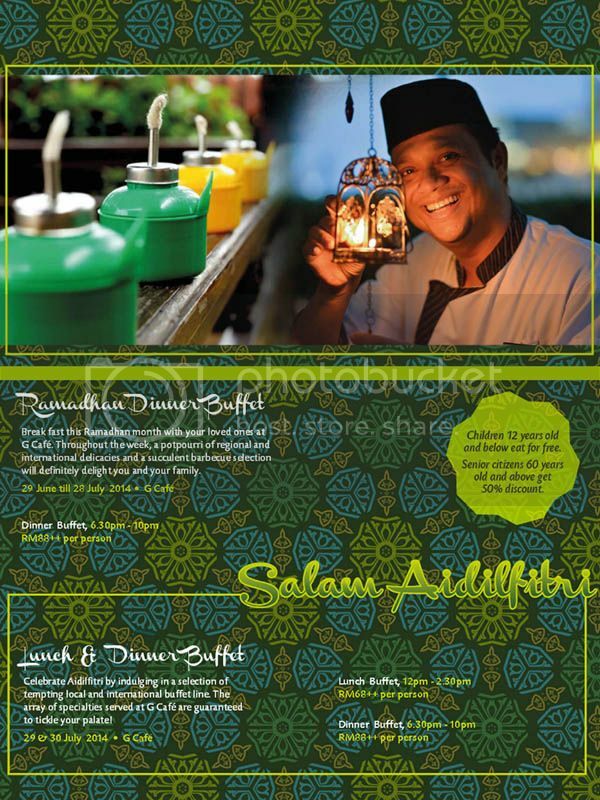 Do call +604-226 0084 now to make your reservation. 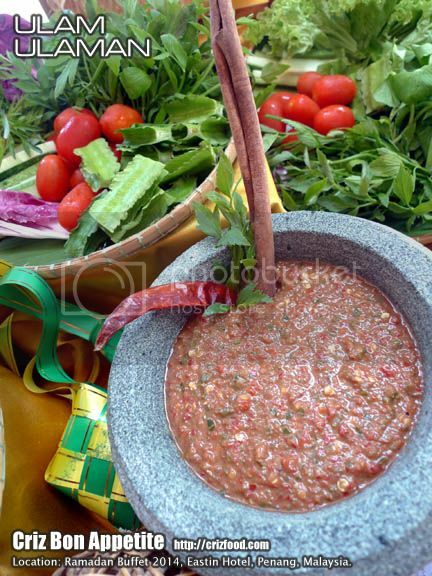 Basically, the spread would include starters and appetizers such as dates, assorted pickles, assorted crackers, assorted fresh greens with dressings, assorted local (herbs & vegetables) ulam-ulaman with dressings such as sambal belacan, budu and cincalok, Gado Gado with Peanut Sauce, Kerabu Ayam, Kerabu Manga Muda, Acar Jelatah Acar Awak, assorted salted fish and salted duck eggs. 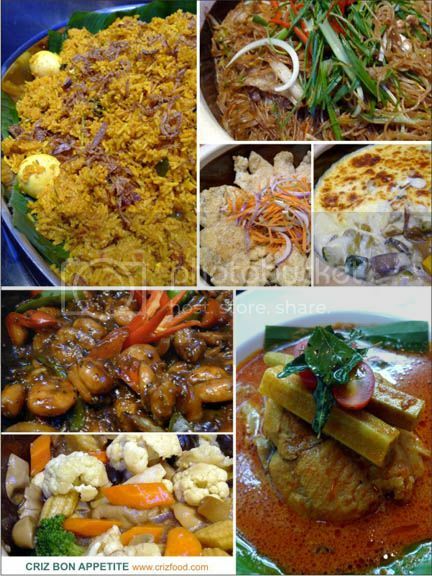 As for main dishes, you could expect to have Chicken Tomyam Soup, Vegetables Dalcha, Grilled Lamb with Rosemary Sauce, Udang Masak Lemak Cili Padi, Grilled Dory with Cheese Sauce, Rendang Daging, Sotong Goreng Kunyit, Ayam Masak Merah, to be served wiyh Nasi Briyani with Raisins or plain white rice. 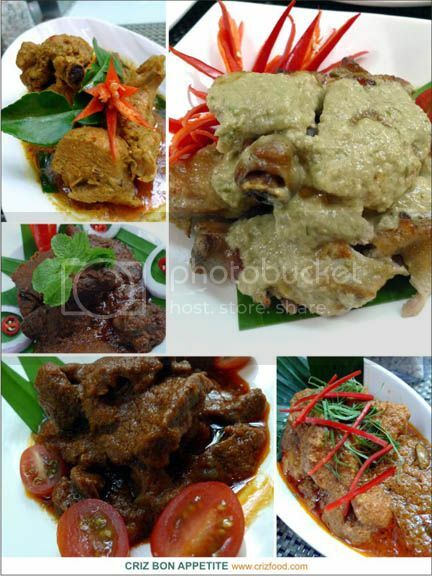 I rather like the Rendang (Beef Rendang) as the beef slices were tender and juicy to my liking. 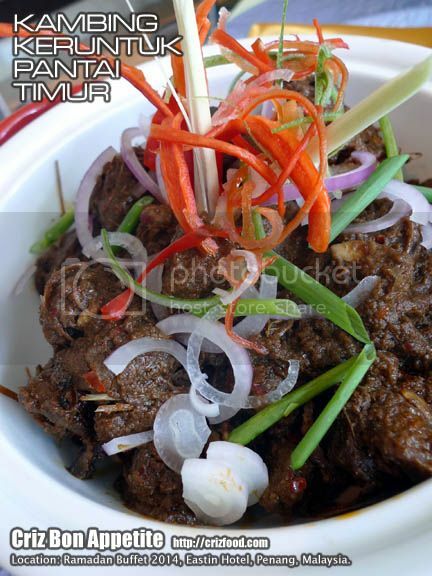 Flavor wise, it was like a crossed between Rendang Tok Perak and Opor Daging Pahang. 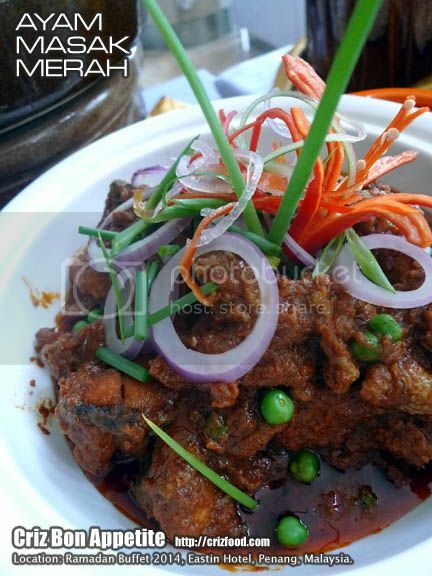 Another dish which was packed with flavors would be the Ayam Masak Merah. 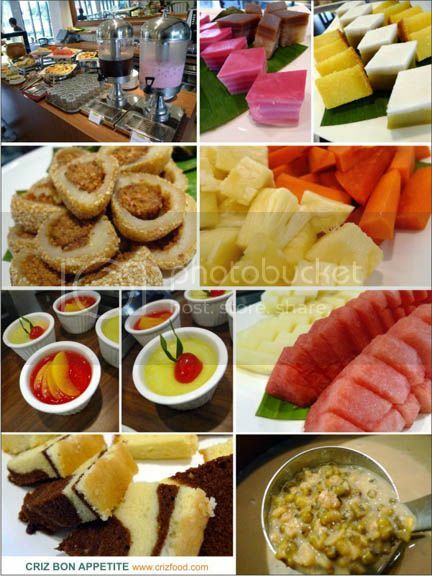 For desserts and drink, you could savor some assorted fresh tropical fruit cuts, cakes, jellies, puddings, bubur kacang, local Malay kuih and free flow of jus kurma and sirap bandung. 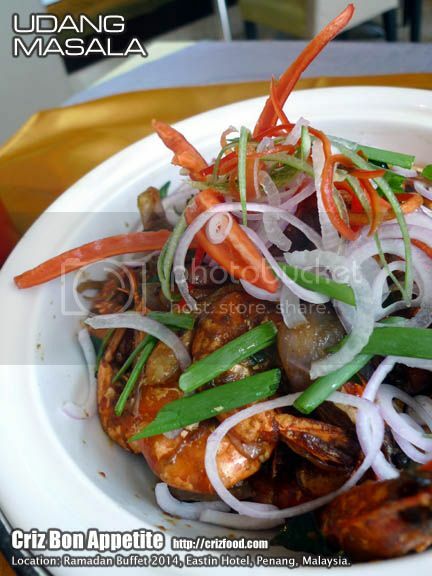 Overall, I find the dishes served here lacked of options and to my preferred quality compared to the price charged. 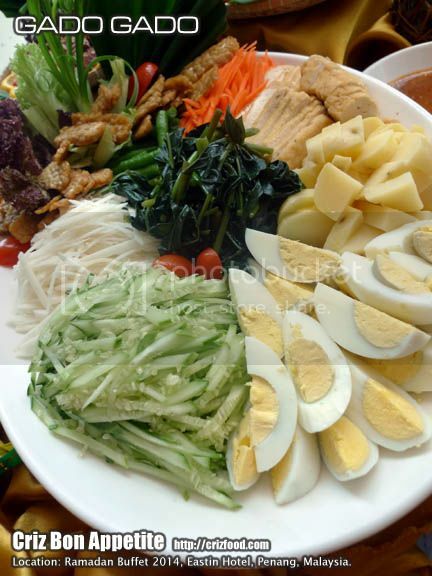 Some of the dishes such as the Gado Gado, Vegetables Dalcha and Chicken Tomyan Soup had gone over the border of fusion or lacking of some major ingredients, thus losing their authentic flavors. 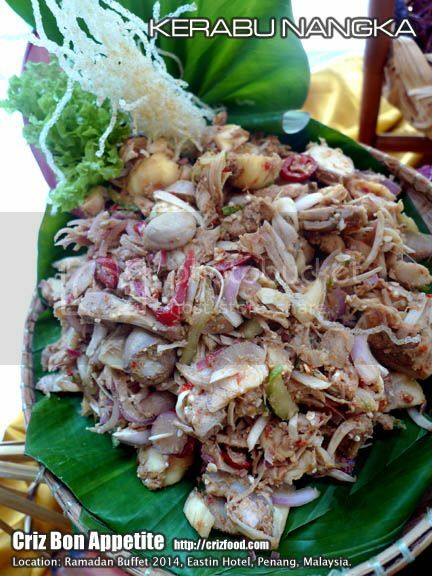 For example, though the peanut sauce was great, the Gado Gado lacked of potatoes and “melinjo nuts” emping crackers. 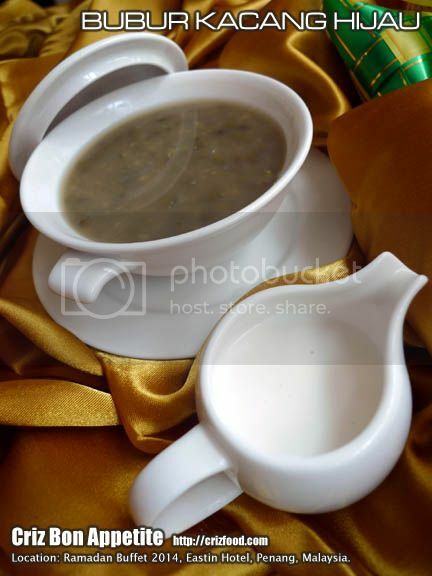 The Vegetables Dalcha on the other hand had too many unnecessary vegetables such as celery, tomatoes, yardlong beans when simple usages of just lentils, carrots, potatoes and eggplants would just be sufficient to go with the spiced rice. 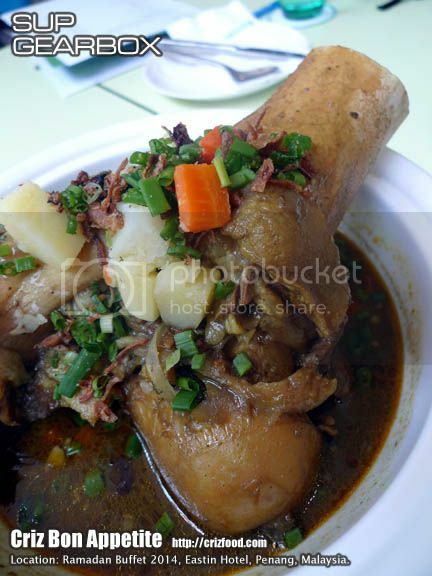 The Chicken Tomyam Soup was also a disappointment as it tasted like a sweetened chicken soup with vegetables with some added chili oil. 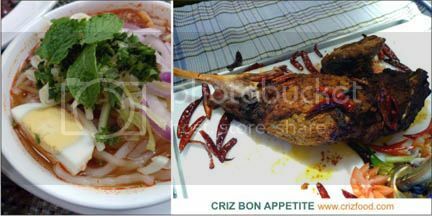 I also wondered what had happened to the basic five flavors (sweetness, saltiness, sourness, spiciness and herb aroma) for the famous dish. 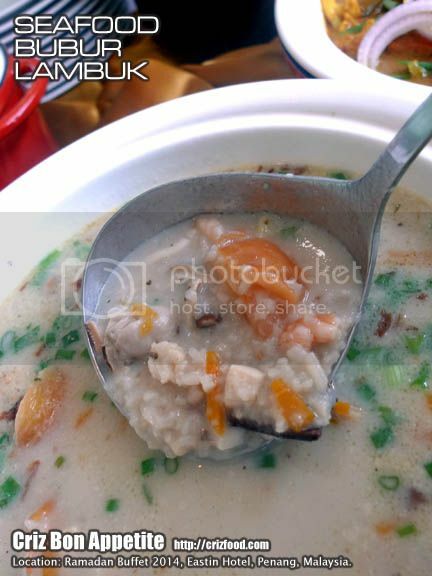 One top of the lacking in saltiness to balance up the sweetness in any dish, the soup tend to lack the sourness from some lime juice, the spiciness from some added cili padi and the fragrance from the usages of abundant lemongrass and kaffir lime leaves. 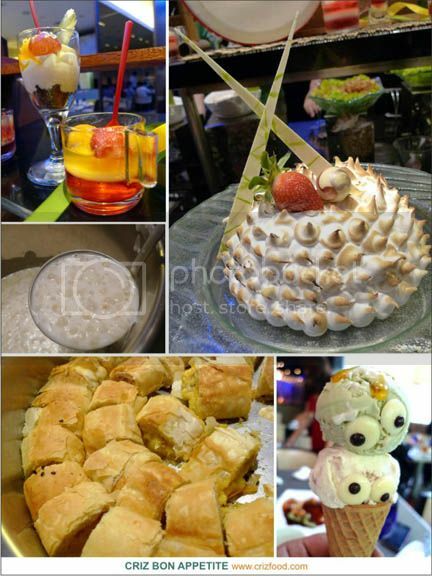 Moreover, the desserts were too normal and lacked of choices. In fact, all of them were towards sweetness. 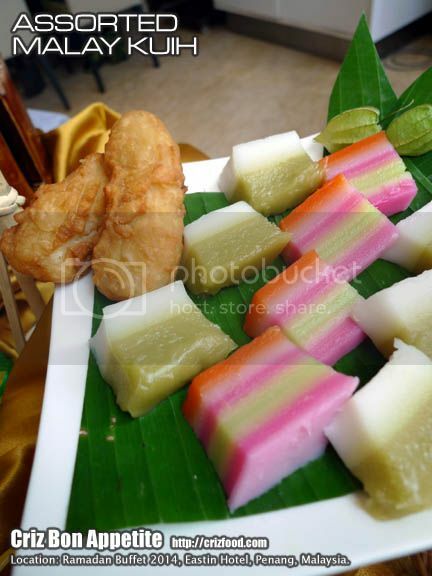 Malay kuih would also consist of savory items such as popiah goreng with chili sauce, cucur badak, karipap, cucur udang and more. 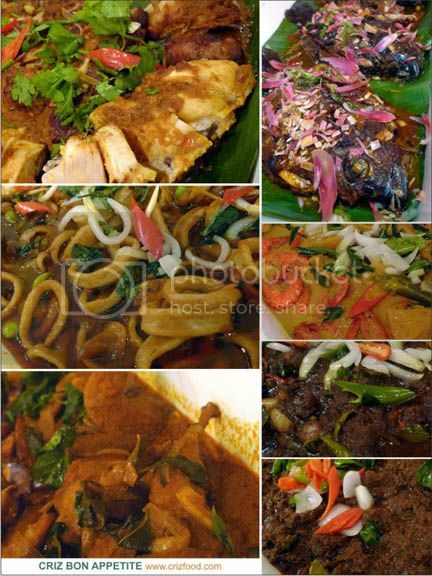 With the Pasar Ramadhan available throughout the month, I can’t see why they couldn’t get in more options. 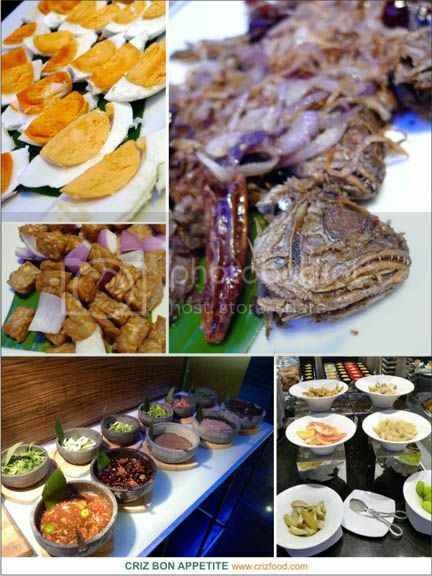 Frankly speaking, I would rather have those set dinner meal for the weekend buffet as what they did for Fathers’ Day at a lesser price rather than seeing them serving these common spread of dishes at such pricing. At least the kitchen would be more manageable and thus would also be able to cut down on food wastages. 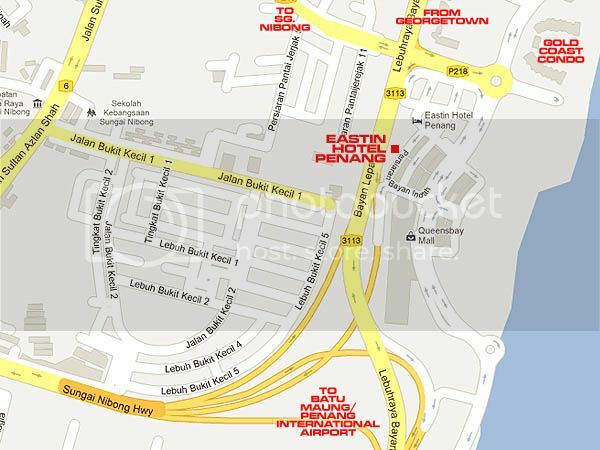 ZEST Bar Cafe @ GLOW by Zinc is located at the 1st floor of the hotel along Jalan Macalister just opposite Red Rock Hotel. 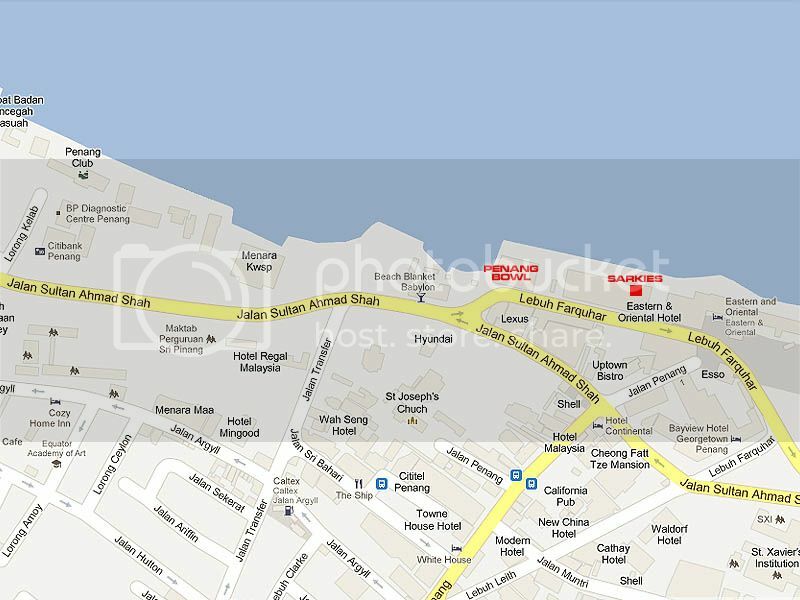 There are about 20 car park spaces in this hotel with 10 spaces available right in front of the hotel and another 10 spaces behind the hotel via Jalan Naning (opposite Sum Sum Motors). 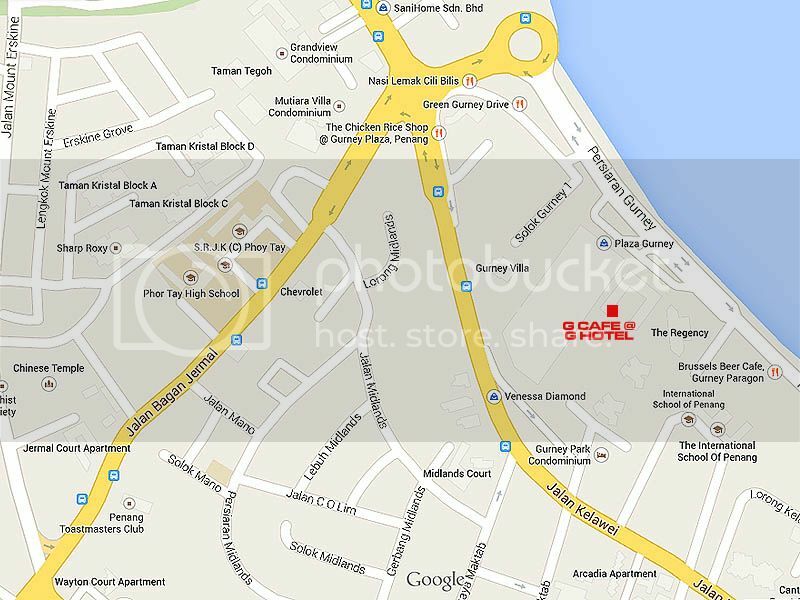 There are also many coupon based parking spaces available surrounding the hotel. Please make sure you have your parking coupons ready as you would need to pay between 9.00am and 5.00pm. However, effective 1 July 2014, valet services would be available for your convenience. 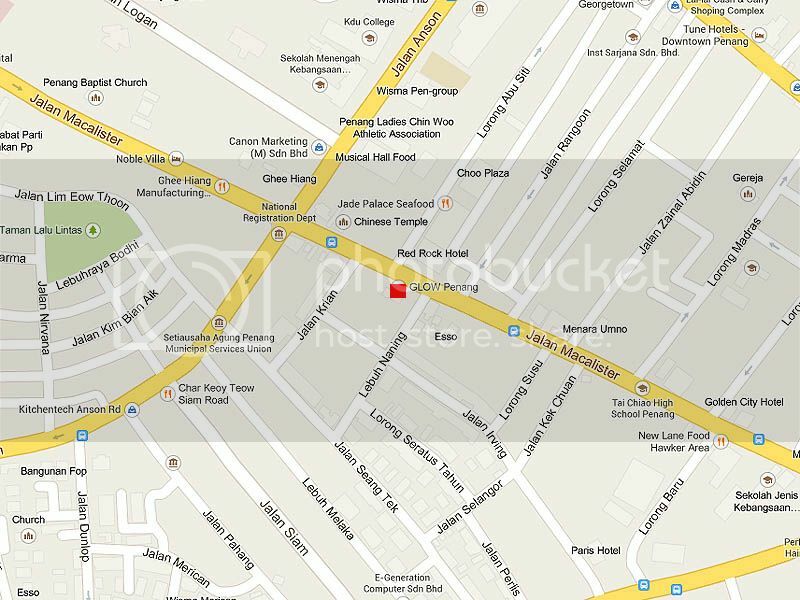 Address: 101 Jalan Macalister, 10400 George Town, Penang, Malaysia. 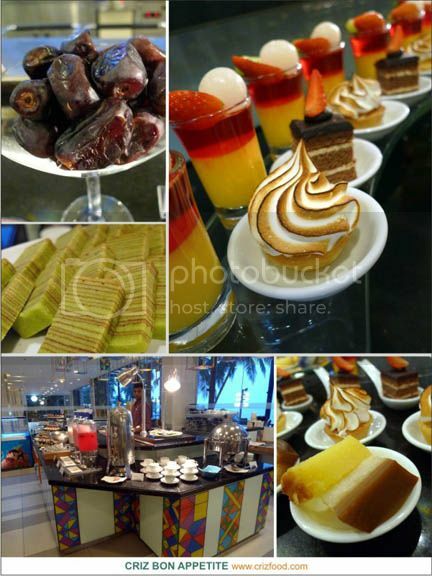 Sarkies @ E&O Hotel (Eastern & Oriental Hotel) will kick off their “Jamuan Buka Puasa” effective 28 June 2014 until 27 July 2014 from 7.00pm until 10.30pm daily. Please take note that the pricing for each day might be different as shown above as there would be a whole roasted lamb on certain days. 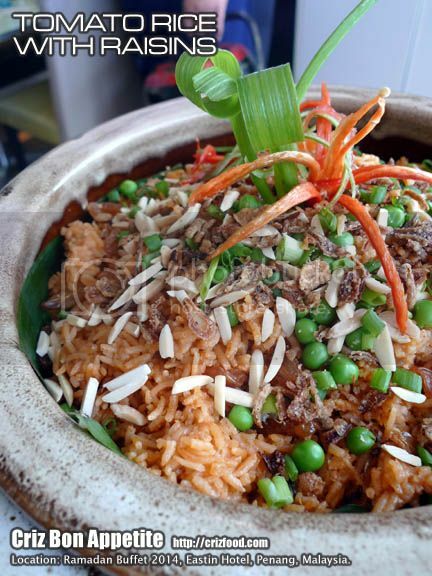 Unlike other hotels or restaurants which would serve an almost 100% Ramadan month dishes, E&O Hotel would still maintain their signature dishes on each night. 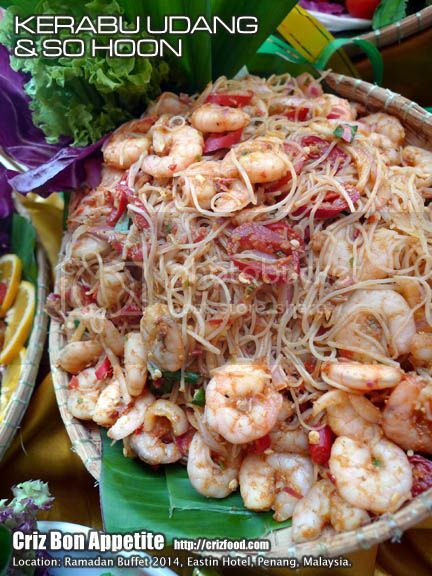 Some of those dishes would include their famous Char Koay Teow, Roasted Duck, Sushi & Sashimi, Grilled Beef, Grilled Lamb, Grilled Seafood, Cold Seafood corner and of course their wide selection of pastries and cakes. 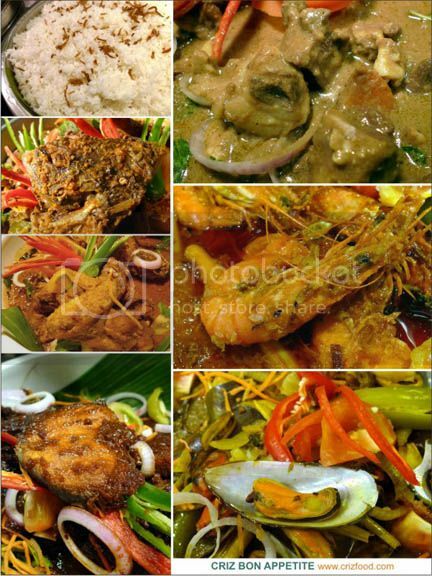 Other than the standard dishes as stated above, you would get some spread of delectable Malay cuisine during the holy month of Ramadan, starting with Appetizer such as Ulam Ulaman, Pelbagai Kerabu, Cucur Udang, Pasembur, Bergedil, Acar Rampai and more with Dressings and Condiments such as Sambal Belacan, Budu, Tempoyak, Cincalok, Nam Pra, Pickled Fruits, Salted Egg, Salted Fish and Assorted Crackers. 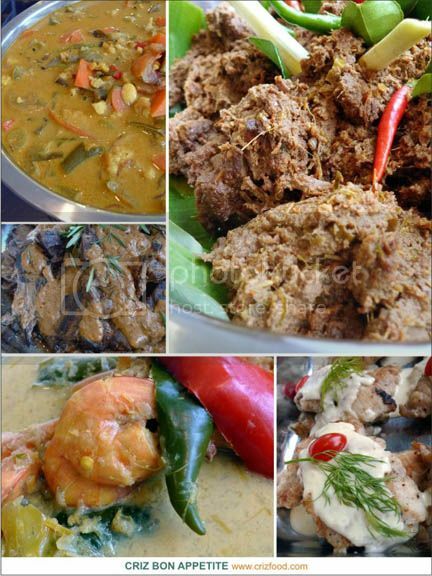 Of course there will be the Sup Ekor, a spicy version of oxtail soup and Main Dishes such as Nasi Putih, Nasi Tomato, Daging Masak Kicap, Kari Kambing dengan Ubi Kentang, Ayam Goreng Berempah, Telur Dadar, Sayur Campur Goreng Kunyit, Ikan Panggang, Udang Rempah Kering, Bubur Lambuk. 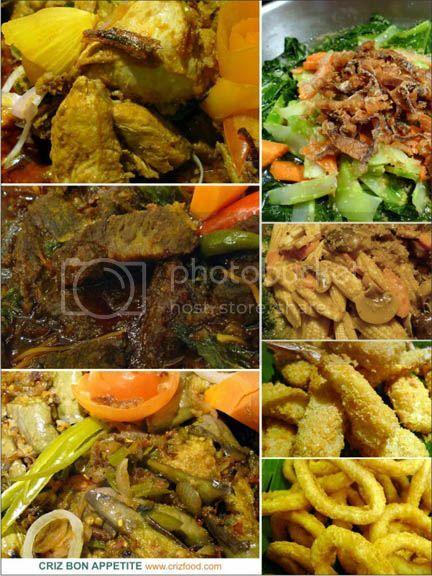 Ayam Percik Padang, Daging Rendang Tok, Kambing Masak Hitam Belanda, Sambal Tumis Sotong Petai, Udang Lemak Nenas, Gulai Puyuh Daun Selasih, Lemang dan Serunding and more. 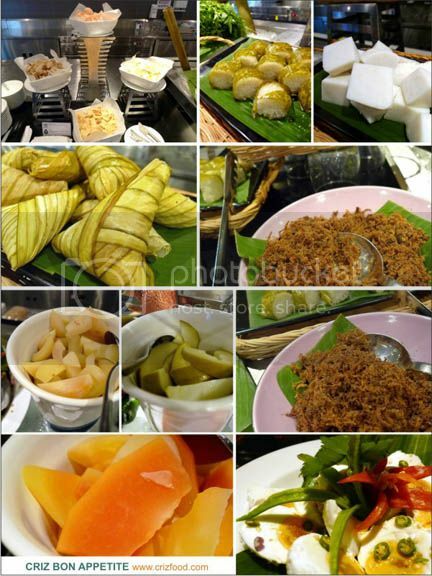 On top of the usual spread of Western Desserts, you would also expect to see some Assorted Malay Kuih, Bubur Kacang, Buah Kurma, Goreng Pisang, Rojak Padang Kota, Buah-Buahan Tempatan (Local Fruit Cuts) and more. 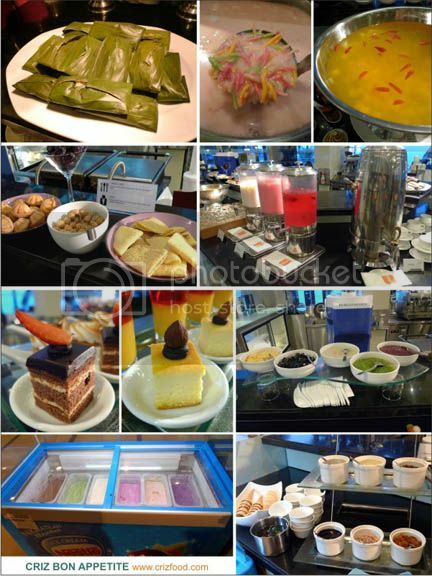 Overall, Sarkies @ E&O Hotel has a more international spread of dishes compared to the many hotels I have been to, thus catering more to those international house guests and visitors whom might not be too use to cuisine which are too spicy and pungent such as the Malay cuisine to their taste buds.